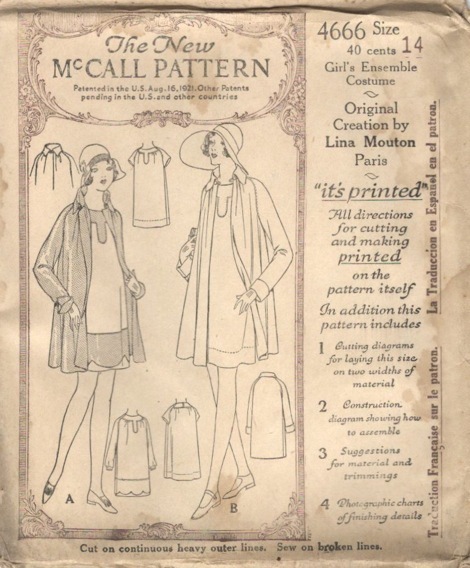 McCall 4666 by Lina Mouton (1926) Girl’s ensemble. 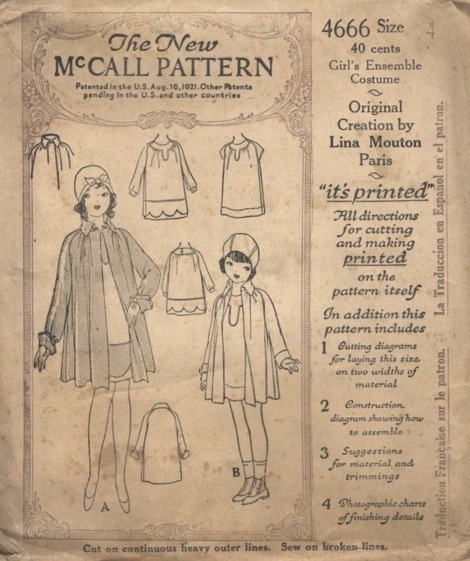 McCall 4666 by Lina Mouton (1926) Younger girl’s ensemble. 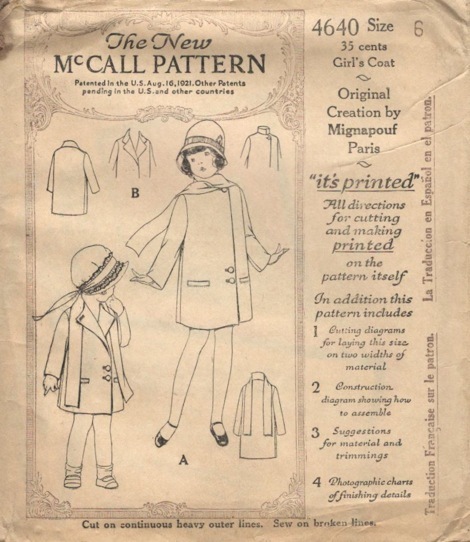 McCall 4640 by Mignapouf (1926) Girl’s coat. 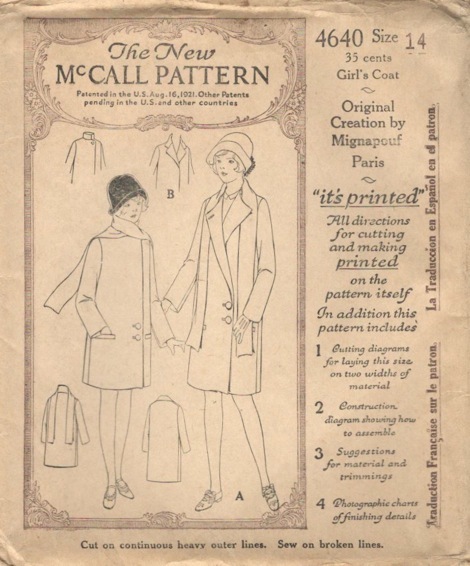 McCall 4640 by Mignapouf (1926) Younger girl’s coat. Have you seen this on children’s patterns from other decades? Great eye as usual! Happy Mom’s Day to you too!